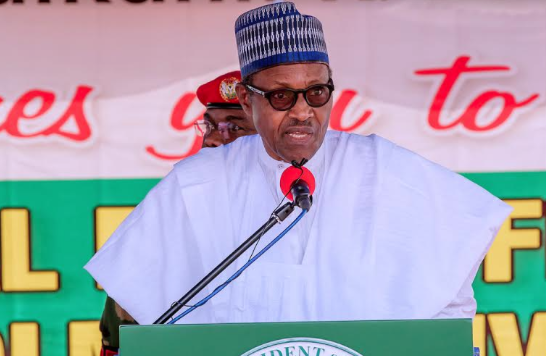 Buhari, who addressed a large crowd of party members, leaders and supporters ahead of the 2019 general elections, said his administration had achieved an appreciable success in the fight against corruption, insecurity and resuscitation of the economy within three and a half years of his current tenure. The president, who recalled his undertaking to focus on the three areas during his pre-election campaign in 2015, noted that the northern part of Nigeria was the worst hit by the Boko Haram insurgency before he came to power. He said that peace had since returned to the region due to a sustained fight against the terrorists. According to Buhari, his administration has achieved a reasonable level of food security with states like Jigawa, Bauchi and Ebonyi now producing and exporting rice and other products. The president noted that funds recovered through the sustained fight against corruption had been committed to infrastructural development such as road and rail constructions with a positive effect on the economy. He urged the people of the state to vote for him so as to enable him keep Nigeria on the path of steady economic recovery and growth in the next four years . Vice President Yemi Osinbajo, in his remarks, told the people of his home state that, if re- elected, the Muhammadu Buhari -led administration would prioritise youth employment, power and financial aids to petty traders. He maintained that Nigeria must elect a righteous leader if it must achieve monumental progress, adding that righteousness exalts nation. Osinbajo, who affirmed that Buhari’s integrity was unquestionable even among the opposition, stressed that the president deserved to be re-elected and returned for a second term in office. Gov. Ibikunle Amosun, in his address, said the people of the state were supporting Buhari’s re-election bid. He told the crowd that it was the Buhari-led administration that acknowledged the victory of late MKO Abiola in the June 12, 1993 election, and recognised the deceased as the actual winner after his demise. The former governor of Osun, Ogbeni Rauf Aregbesola, however, expressed concern over what he described as the “anti- party activities” among some party members. “We have all identified with the APC and we are not known for another political party. “ All APC members carrying the flags and identifying with other political parties are hypocritical,’’ he said. He, therefore, sought for a bloc vote for Buhari from all members of the party in Ogun. The National Chairman of APC, Mr Adams Oshiomhole, also drummed support for Buhari from the people of Ogun. The rally was, however, temporarily halted as Oshiomhole announced that he had the responsibility to present the Ogun APC governorship candidate, Dapo Abiodun, to the people. The event became tense as some angry youths protested at the development. Reports have it that there had been a face-off between Oshiomhole and Gov. Amosun. Amosun, who had considered the emergence of Abiodun as the winner of the primary elections conducted by the party’s National Working Committee (NWC) as an imposition by Oshiomhole on the party in Ogun had vowed not to support the party’s governorship candidate. Oshiomhole had also been accusing Amosun of supporting the governorship candidate of another party against Abiodun. The president, however, raised Abiodun’s hand as the APC governorship candidate in Ogun.